Whenever you perform a task or purchase a product you earn versapoints (often referred to as VP) which help you create your rank as an affiliate and gain higher percentages and bonuses. For example, earning a total of 1500 VP will promote you to the rank of Executive Affiliate (EA) while earning a total of 3000 VP will earn you the higher rank of a Bronze Team Leader. There are two types of VP: Sales and Action. You earn Sales VP when you purchase items or make sales and you earn Action VP for performing various tasks such as reviewing the ten tabs in the affiliate center or sending group mail to your downline team. In this lesson we will learn how to earn a regular ten Action VP per day. Log in to your SFI affiliate center which brings you to the home page. Under the menu bar you will see a row of twelve tabs, ten of them are highlighted in red. SFI recommends you review these sections of SFI daily and confirm you have done so by clicking on a button at the bottom of each page. Notice the screenshot below displaying the twelve tabs on the home page. I will take you through each tab and give a short explanation for each one. This is a general information section that gives you instant access to your total VP earned (both action and sales combined), the latest SFI news to keep you up to date with any new additions and improvements to SFI you may need to know about, and the latest posts from the SFI Forum. This section gives you a list of daily, weekly and monthly actions along with other actions you can perform to earn some VP. There are links pointing to each section that you need to visit in order to perform each task required of you. Each task has a type which is S (for Sales VP) or A (for Action VP). This section just offers general tips from other SFI affiliates. Worth reading as you can learn some useful knowledge which you can apply in your own business. In this section you can submit a short message to your team and read messages from people in your upline team (people who are your sponsors). Useful for sending brief messages. 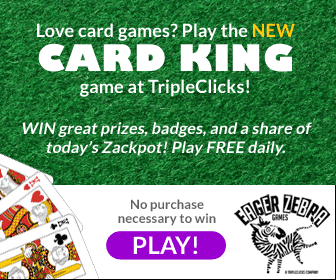 Learn about the latest deals going on at Tripleclicks including the Pricebenders auctions where you can bid for some amazing deals. Tripleclicks will be covered in detail in a later lesson. The scoreboard gives you all the general information you need on how many VP you have earned along with how much money you have earned up to now. You will also learn how many VP you need to qualify as a Team Leader which gives you extra bonuses. In this section you can connect with other SFI Affiliates and send messages to each other. This is great for building a few SFI contacts and making new friends. This is where you can see which of your downline team members have been logging into their affiliate center in the last few days. These people are known as Movers because they regularly make an effort to log in so they are more interested in SFI than your other members. The Global Growth Report gives you a general report on how SFI is growing which includes new members, how many from each country and so on. Becoming an EA allows you to share in part of that growth as you can receive shares in the Tripleclicks Executive Pool as well as two bonus CSAs each month. Setting yourself a goal means making a note of what you are hoping to achieve in the current month and this section allows you to write down various goals. For example, you could say you aim to sponsor ten new affiliates this month and this section will inform you when you have reached that goal. Setting goals helps you to increase your intention to succeed in your business. If you have completed your Affiliate Profile then your long-term goals will be displayed here. Your long-term goals are what you hope to get from your work in the future such as early retirement or a nice home. If you haven’t completed your affiliate profile yet then you can do so here. This is where the SFI Community asks questions about SFI and other members answer them. You can earn one VP and an entry into the Daily Grand draw just for voting for the best answers. This is where you can enter the Daily Draw and win prizes such as TCredits, CSAs and Versapoints. You get one entry per day but you can earn extra entries by participating in the Ask SC section. Out of the twelve sections only ten allow you to earn one VP. In order to earn each VP you must click on each tab that is highlighted in blue. Then scroll down to the bottom of that page and you will see a button that looks like this. During testing I noticed that the button does not appear faded in Firefox but it works ok in Chrome. If you notice that the button is like the screenshot above then don’t worry. It will still work after a few seconds even if it never changes. Most of the VP you will earn at Tripleclicks are the Sales VP which you can earn from either purchasing products for yourself or from sales generated from your downline team or Tripleclicks customers. You can learn more about Tripleclicks in the next lesson. In the meantime you can learn how to earn Action VP from various tasks you can perform. Create a Standing Order: If you want to receive a product monthly then you can set up a standing order which will give you a bonus of 100 VP. Bidding at Pricebenders: You can earn up to 500 VP just for bidding on various items. Reviewing Purchases Products: Each time you buy a product from Tripleclicks you will receive an email asking you to submit a short review. You can earn 25 VP for each review. For extra information about VP click here. If you wish to know what you get for earning VP then click here for the Benefits Chart. For a complete list of VP you can earn click here to see your VP Ledger. The VP you earned for the previous month will be reset to zero at the start of each new month. The VP you earned will be calculated and converted to commission (for Sales VP) and rank (for Action VP). It is important to know that you will not be paid any commission for Action VP only or for Sales VP earned by your own purchases. In order to be paid you must get sales from customers or your downline team. It stands to reason that SFI needs to receive money in order to pay you commission. If you are a new member it is possible to achieve EA status and the rank of Silver Team Leader in your first month as more Action VP is offered for completing the 30 steps of the Launchpad as well as reading various articles and performing other tasks. From your second month onwards you will need to earn Sales VP from personal and customer purchases to qualify as an EA2 for each month and you will need to earn at least 1000 Action VP to become a Team Leader for each month. Therefore you may find that it can take a few months before you are earning enough Action VP to become a Team Leader. I hope all this hasn’t put you off SFI but you must remember that this is a real business and must be treated like one. All other business opportunities require the time and effort to become profitable as well. But do not worry, once you have finished this module then you’ll soon be earning money.